Very enjoyable way to pass the time. However, the ads that pop up between games are extremely annoying. I wouldn’t even mind paying a little bit to get rid of them (although it would be irritating), but I don’t see any way to do that. Also, sometimes when you finish a game, a blank white screen appears, and there’s no way to get rid of it except to exit the game and start again. That happened to me today, and even when I tried to start the game again, the white screen was still there. Update: I just went in to play the game, and all I get is the blank white screen. Very frustrating. 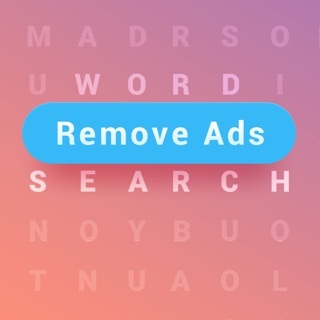 I am probably going to delete this app even though I really like it, and look for a word search that works all the time. Or maybe I’ll just read a book. Update: The game froze, and all I could get was a blank, white screen. I wound up deleting it and downloading it again. So far, so good. It’s very enjoyable, and I spend far too much time playing it. This time I paid to get rid of the ads. Big improvement. 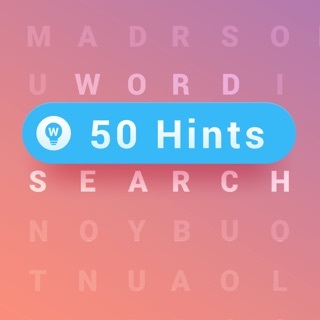 I really did enjoy the old version of this app when it was an actual word search game. The new update makes it so you have to guess what words you're looking for. 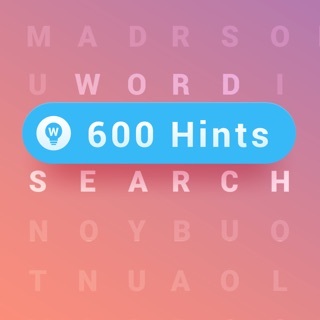 I downloaded this app to have a word search app. I was pleasantly surprised when I noticed it had daily challenges. I completed quite a few of these but then just a few days ago, they updated the app to the current format. In my opinion, this new format is absolutely terrible. Prior to this, the only complaint I had against the app was that as a color blind person, it was sometimes hard to see the highlighted words when they blended in with the background so much, but they went ahead and ruined the game with the new update. I have to give this app a new rating, because they actually responded to what people were asking for while at the same time keeping the changes that some other people already enjoyed. I want to congratulate the app developer for their great attention to customer service. Thank you once again! Dear Just a Nice Guy, Thank you for your feedback. The latest update has provided an option for you to choose the type of puzzle you want to play in the daily challenge. We will also make the app more user friendly for users with weak eyesights in the future updates. Please feel free to reach out if you have any further suggestions. Best Regards, Team. So I love this game, I think it’s super fun, and it’s really great for procrastinating my dissertation. I play it every day and it takes up hours of my time. Which is great, I’m loving it. But twice now the game has majorly crashed on me. I click to open it and the screen shows up for about two seconds then goes back to my phone background. I click out to see the apps I have running and it shows up as working, but then doesn’t run when I click on it, shutting off back to my home screen again. The first time I had to delete it to get it to work again, which erased all the data. And it’s been fine for the past two weeks or so but it’s acting up again and I can’t play it anymore. I don’t know if it’s an issue with phone system compatibility or with the app, but it’s really getting my goat. I’d really like to not restart the game and challenges all over (for the second time). So all-in-all it’s a great game, but it’s buggy as heck in my opinion. Remove advertisements in the game. © 2016 Word Brain Games Ltd.